Dive into marketing your next meet with the Swimming Postcard Mailer. 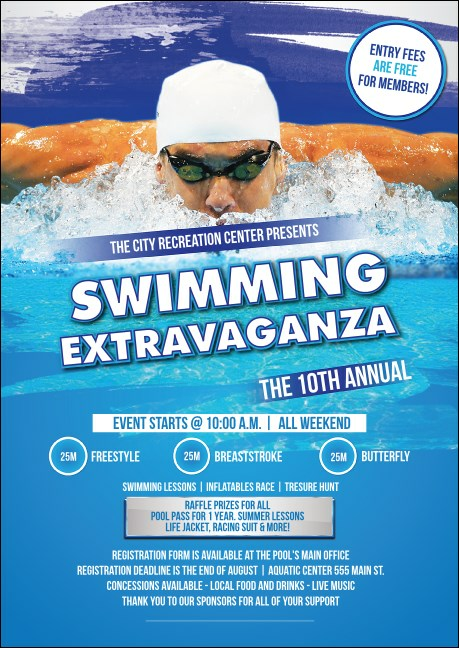 Its full-color photo of a swimmer mid-stroke will make a splash with everyone on your mailing list. This sharp-looking postcard design also features twenty-two text lines, waiting to be customized with your competition details. Prints within three business days, then is mailed out via USPS First-Class Mail. Printed postcard dimensions are 4.25" x 6"
Direct mail is a great way to reach your target audience! Browse an assortment of customizable postcard mailers on TicketPrinting.com.